If you’re lucky enough to own a successful nightclub or bar, chances are you’ll eventually encounter some sort of legal exposure. In such a litigious society, bar owners can take proactive steps to recognize the most common reasons they are sued each year, and what you can do to prevent these claims from occurring. As we explore the four most common claims, protect your operations with a customized and comprehensive Sports Bar Insurance Program. As the more prevalent claims across the service industry go, slips and falls ranks number one. To protect your livelihood, especially if the claim goes to court, implement a written safety policy. To reduce the possibility of a slip-and-fall accident, first have a policy put in place. Having a written policy will go a long way in a trial to convince the jury that the business owner is concerned about the safety of his or her patrons. Be specific in this policy to cover routing spills by customers and employees, as well as any other reasons surfaces may dangerously become slippery. If you have a concern about any surface being too slippery, slimy or any other cause for a slip or fall, consider having it evaluated by an expert who will test the co-efficient of friction of your surface and advise as to whether or not it is within industry standards, explains Nightclub.com. With a little too much liquor, some patrons can go from rowdy to confrontational very quickly. 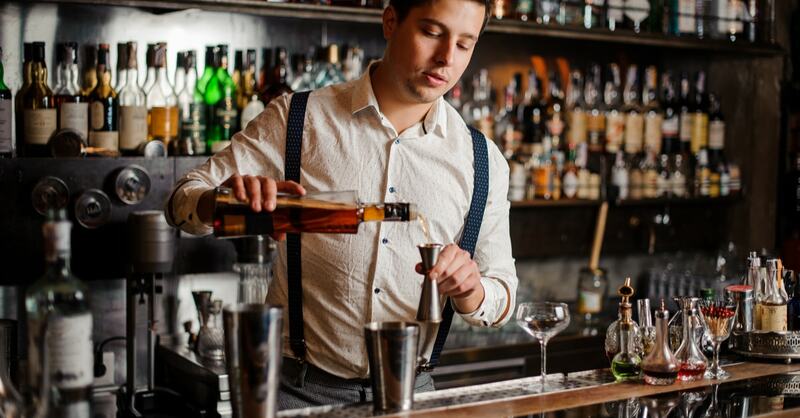 Educate your bartenders not to overserve patrons. More importantly, establish a response plan if guests get into a physical altercation. This includes alerting authorities, ensuring an accurate report, and ensuring both (or all guests involved) are escorted out separately to prevent fighting in the parking lot. #3: Employee and patron altercation. Implementing a “hands off” policy is the best bet for these situations. If a patron refuses to leave, call the police immediately so they can handle it. While it’s best to wait for authorities, train your bartenders and bouncers to use minimal force to control the patron until police arrive. Unnecessary physical contact and force will only lead to a more complicated legal battle. #4: Serving minors and overserving. This is one of the oldest exposures around. Well-trained bouncers can easily spot a fake I.D., while bartenders can recognize signs of extreme intoxication to prevent overserving.